When I consider terrorism, war and poverty (violence that has existed throughout human history) it is hard not to question the motives of an all-knowing God who chose to create us. Was it not cruel of Him, knowing how we would sin, fail and suffer at the hands of ourselves and others – like choosing to play us in a dark and cruel game. This is something I have always struggled with. Then I too chose to become a parent. I chose to bring children into a world that scares me. Where there is the risk of bullying, depression, war and terrorism to name just a few. And we live in one of the safest places in the world. in contrast, even in war zones or during famines people still choose to have children. I know that part of my choice to have children was selfish. It came from a deep desire within me to love my own child, to help them grow and to be loved in return. It didn’t feel selfish, it felt like the most natural thing in the world. Similarly, you don’t have to be a parent to feel this desire deep within. I believe it is hard wired into all of us, a desire to create, love and be loved. These instincts come from God. When I think of God I believe it is good to imagine him as a mother. A parent who truly wants to love us first and be loved second. To love and admire creation and to have it bless him in return. Because of this, it is no surprise that some of the best peacemakers in the world are mothers. Why do mothers make such good peacemakers? Because at the end of the day they have something bigger in common than conflict, they have the love for a child.This is a great step towards peace, learning to recognise your own face in that of the enemy. They also have fear in common; fear of losing their children to war and that fear is a powerful fuel for action. What’s more, as mothers and fathers we have the great privilege and responsibility of teaching our children so much of what they grow to believe. So do we tell stories of peace or of conflict, do we teach them to behave with love or competition and do we encourage them to forgive or seek revenge? Finally, I believe the most important reason we choose to have children is out of our desire to bring something pure, beautiful and full of hope into the world. To bring a light to brighten the darkness. Of course, God knew there would be darkness, just as there was in the beginning – he knew there would be evil, cruelty and fear. However, in creation he brought light – and in that light, he brought hope into being. And just as there is a great deal of despair in the world, there is also so much beauty. It is in that hope and beauty that we find what God truly desires for the world and in our role as parents (and adults) to fight for a peaceful world for our children. I have always thought of having children as profoundly, positively, counter-cultural at times when everyone seems to being talking about things going wrong in the world. Children are the greatest sign of hope for the future. 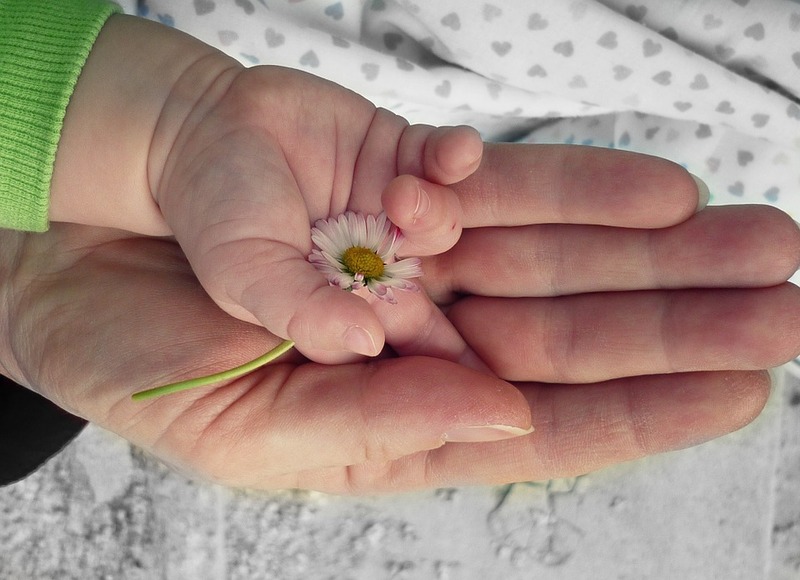 Think Deuteronomy 30.19: “I have set before you life and death… CHOOSE LIFE…” Our children are that choice for life, for the future, for peace that is possible. Thank you Clive, what a wonderful insight!